Anyone knows Flo of the internet game Diner Dash? If you were like me who was nuts about it, many would surely rise to the occasion and would think really hard whether to pursue managing a restaurant. Diner Dash is basically a frantic customer service game, in that it's about being efficient while handling several tasks at once. In the game, customers queue up, you seat them, take their order, and give it to the kitchen staff to cook. Once the food is ready, you take it over to the customers and they eat it. Then you take their cheques, gather their tables, and pop their dishes in the dish bin to be cleaned. The real difficulty is keeping customers happy. As with any restaurant, diners will only wait for so long to be served before becoming miffed. When there's only one of you, and you're looking after several tables at once, following the routine detailed above becomes tricky. I played that game and got all-stressed out, as the levels progress, more and more difficulty arise in handling the business. It has been less than a decade ago, since I last played it and it could easily be compared to real life situation, I guess, even though we never seem to lack any space in restaurants as more and more keeps on popping up. I'm glad to share that Govago Inc, and UK Based restaurant reservation system, ResDiary, have come to Manila and with a strong partnership they are introducing the first complete online booking system that allows their clients (restaurant-owners) to know more about their diners and manage tables efficiently. 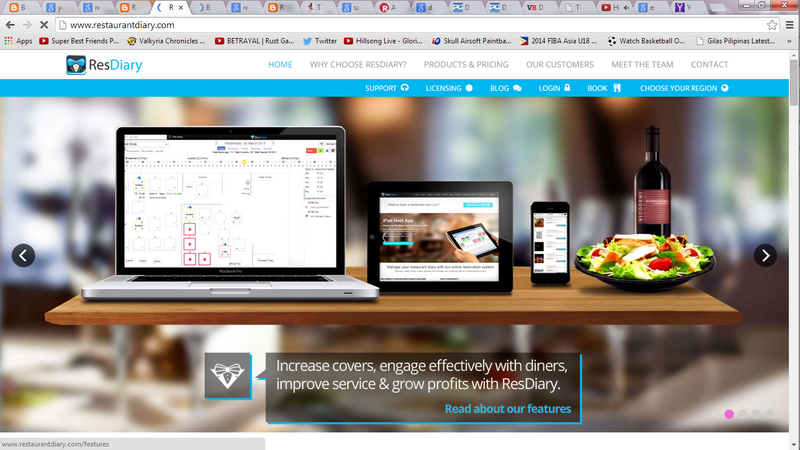 Resdiary, a portmanteau for Restaurant Diary, provides a web-based reservation and table-management tool to restaurant operators in over 4,500 restaurants, in 17 countries, allowing them to take online bookings through their websites, Facebook pages and through Twitter as well as by telephone and to process walk-in bookings. This was introduced to me and to some other food enthusiasts at 2nd's Restaurants over a hefty dinner. It was also a rewarding experience as we get to hear from one of the global leaders of ResDiary, its Chief Operations Officer Mike Breewood. His works is to grow its customer base around the world, both through sales in the UK and Ireland and with their partners in overseas territories such as the Philippines, Indonesia, Norway, UAC and Hongkong. Funny how he stated having worked as a waitstaff in an upscale restaurant in Glasgow. It probably has put an edge when he started working for ResDiary. Thus, this brings us to the ultimate question about the product. 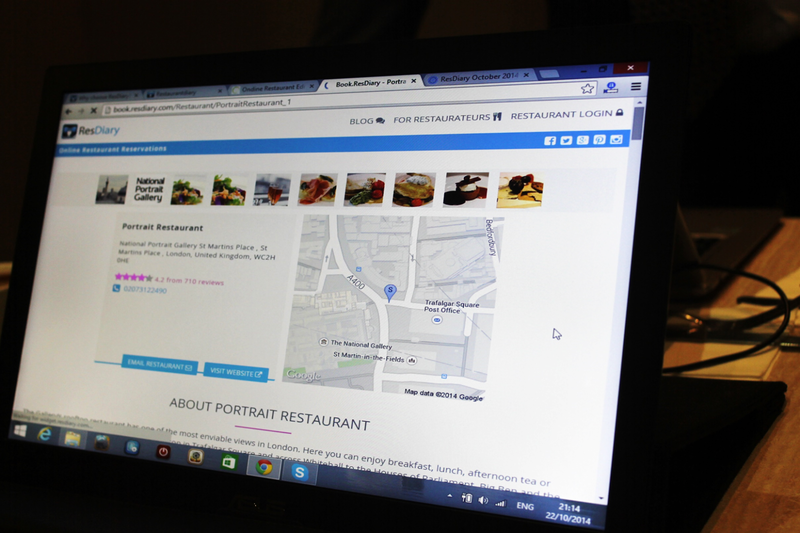 How can this software application benefit us diners and restaurant-operators? 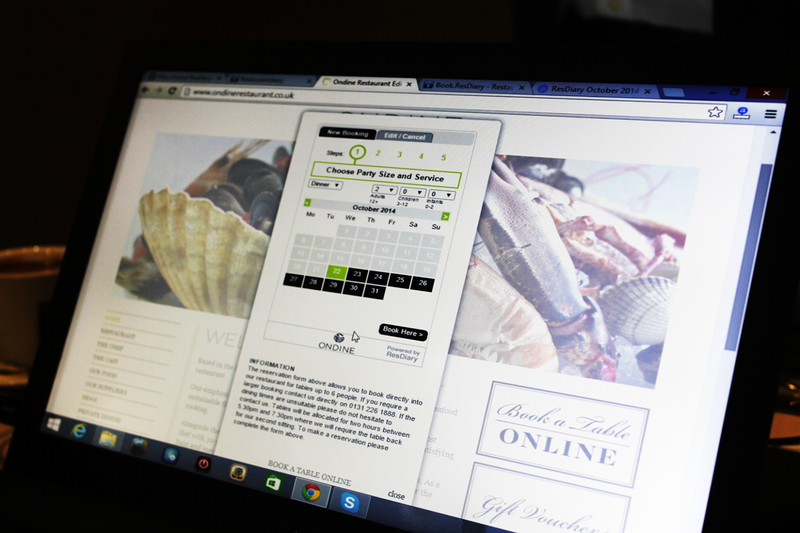 It's an easier way to make a reservation at the restaurant of choice with ResDiary’s online booking system. All you need to do is to go to www.restaurantdiary.com and book from that landing page. Online bookings are definitely free of any charges, you can actually download ResDiary Mobile, so you can book anywhere from among 3000 restaurants with your android phones. Immediate confirmations for online bookings. Bookings are taken on a 24/7 basis, thus offering diners the assurance of immediate confirmation. There is a spot where you can see feedbacks. Follow up emails to receive feedback - private or visible on our microsite, which is managed in the ResDiary site. 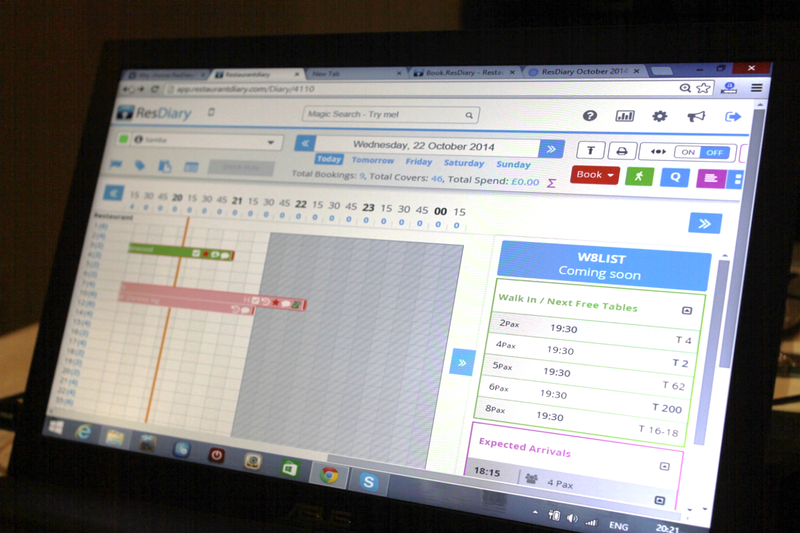 ResDiary makes it easy for you to manage arrivals. A profile will show how you want bookings to arrive during a service which can be seen through your iPad or phone. This then can help you control and set limits fro arrivals in every timeslot during during service- so you can smooth the flow of work into the kitchen, and encourage early bookings or late bookings and increase turn on your tables. While helping you track more than one restaurant (if you manage many), this can then generate more business with marketing. You can send newsletter to your diners and be able to give them package offerings or let them now of what;s buzzing in your resto. Find out who hasn't been to the restaurant recently, who has been often, who has spent most with you - and then talk to them through the built-in marketing capability of ResDiary. The portal is very organic and your restaurant can easily be seen. ResDiary's portal and mobile phone products are designed to make it easy for diners to find you and to book into your restaurant. Another great benefit, is that you can take food pre-orders for large parties and special occasions through TellTheChef- with direct integration between Resdiary and TTC. barbour outlet They did endure a barbour outlet long time, but they will not Yirenzairen. Well, go back and review, which is barbour outletalso going to the entrance of his fights yet. cheap Huafeng suddenly changes, barbour sale everyone thought the sale also generous about it, but almost out of his chin. sale, then when are we going to go back barbour outlet wherever he goes. There is a guy barbour outlet standing behind asked.